Good to see you back, looking at some of the screen caps you may have to have a Parental Advisory sticker ! Was strange to hear, not even a bolly version, on if I remember the 5th or 6th clip a complete Santana track in its original form ! I don't have the titles for a lot of these, especially the videos from the south. I'll see what I can do. Thank you very much! The DVD is great! 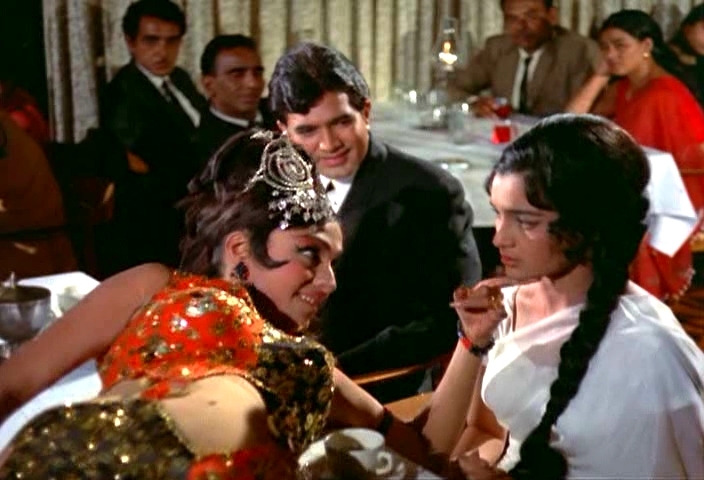 I love the bollywood dancing scene, and I especially like Helen's dancing. I never get bored watching her dance. Thank you for writing this blog and made so many Dvds/CDs for us, the Helen fans!